To be honest, I'm not the craftiest person that ever lived. I can appreciate the unique beauty in things that are handmade. And I adore them! But, I just don't have the patience required to create them. Although I do try to engage my kids in artistic endeavors, the mess and tedium of it seriously drives me batty. However, I love visiting my friend Gina's blog and she inspires me every time I do. I really wanted to participate in her new Wednesday link up, so I managed to bake some cookies this week...from scratch. As much as I love sweets, I have even gotten lazy with baking and often use a mix (sshh! Don't tell my mother). Though it is fabulously delicious, I can make no claim to this recipe. I found it through another inspirational blogger, Tiffany, of June Makes Six. She posted it last week and it motivated me to spend some time baking with my kiddos. 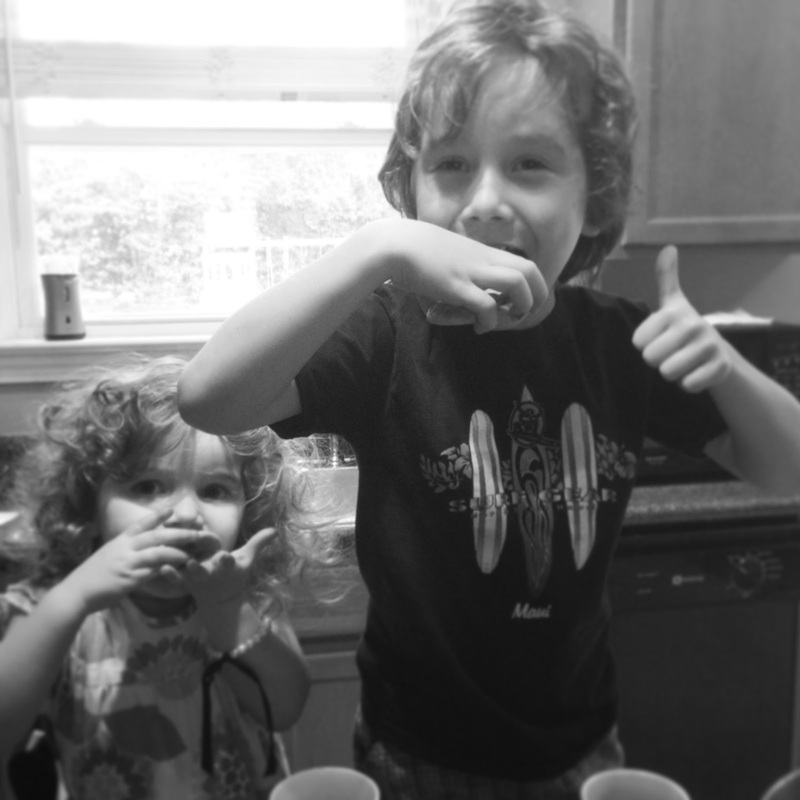 So, while this is not a post about my own creativity, it is a post about creating something meaningful with my kids. I snapped a few shots with my iPhone as we baked. 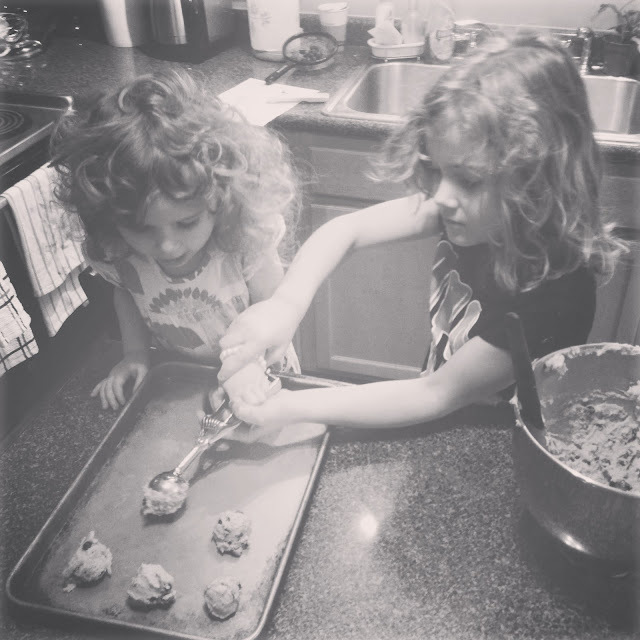 The kids loved helping and the memories we created were even sweeter than the cookies. To find the recipe for these tasty treats and Tiffany's drool-worthy images of her own batch, click here. I saw these last week and thought they looked amazing. Seeing that thumbs up means ill try this recipe. 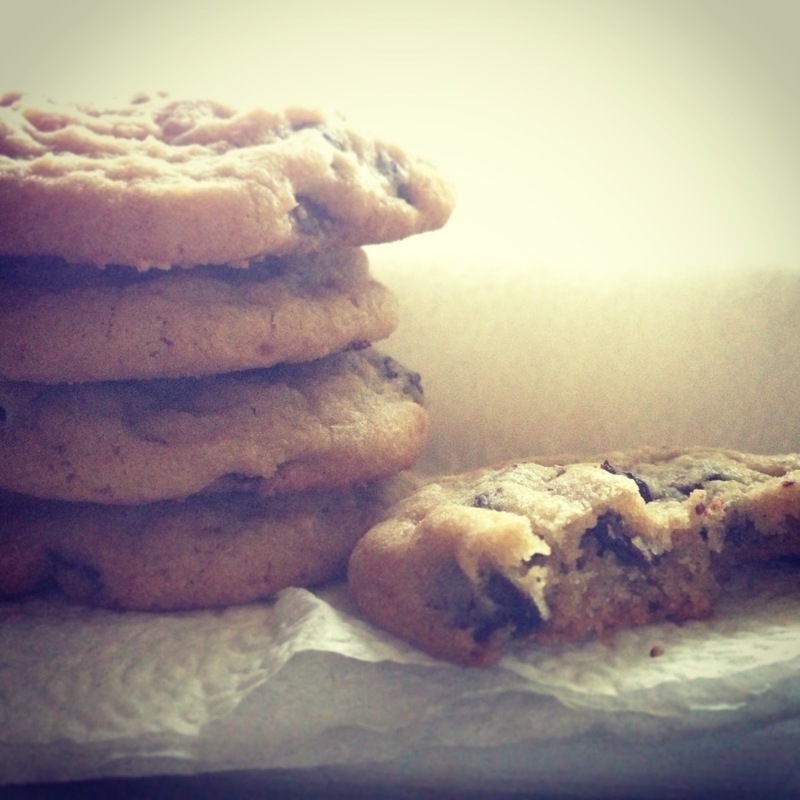 Nothing better than a homemade chocolate chip cookie! Ooooo!! Chocolate chip cookies and homemade ones too! Yummmmmm! So glad you and the kids enjoyed them! And I agree with "D" about your photography! You are SO SWEET!! Oh how I just love you to pieces! I have not had a chance to try Tiffany's recipe but I certainly need to. The climate/conditions changes we have made has done some funky things to my cookie recipe. sooo cute! and those cookies look awesome! Homemade ones are always the best. Most especially for cookies.